While social now accounts for more traffic than search, how does it fare when it comes to conversions? Not well, apparently. According to statistics from Shareaholic, social media is now the No. 1 driver of referral traffic to websites, responsible for 31.24 percent of the total. This is further corroborated by data from Parse.ly that shows that Facebook has overtaken Google as the top traffic source to news sites. According to the statistics, Facebook now accounts for about 40 percent of all referral traffic to news sites, while all Google sites account for 38 percent. Of course, this means you need to carefully review your social strategy as we head into 2017. However, a huge piece of data is missing: While social now accounts for more traffic than search, how does it fare when it comes to conversions? Not well, apparently. According to research from Monetate, which analyzed more than 500 million shopping experiences, social media is still lagging behind when it comes to conversions. In fact, social media traffic has an average conversion rate of 0.71 percent, which is very small compared with search’s 1.95 percent and email’s 3.19 percent. Some sources also show that the average engagement rate on Twitter is 0.7 percent. As the above statistics show, the conversion rate from social media is averagely poor. It can be better, though. Here are some tips to help you build your social media conversion strategy. The biggest social media mistake many businesses make, which costs them serious conversions, is that they simply post an update once and expect that single update to get the maximum attention. It doesn’t work that way. The average Twitter or Facebook user’s timeline is filled with status updates, and new updates are being made pretty much every second, making your message virtually unnoticeable. To boost conversions, you have to stand out, but how do you stand out? By tapping into the mere-exposure effect. In psychology, the mere-exposure effect is a phenomenon in which more exposure to something gets us to notice it more and like it more. In fact, it’s such a proven principle that marketers developed a rule of seven out of it. In essence, to get people to take note of your message or offer, you repeatedly expose them to it. This is especially important where social media is concerned. In fact, it’s so important that research by Buzzsumo, which analyzed more than 100 million articles, found that resharing content can boost engagement by 686 percent. Share your content and offers–especially key ones–multiple times, and you can always be assured of a boost in conversions and engagement. 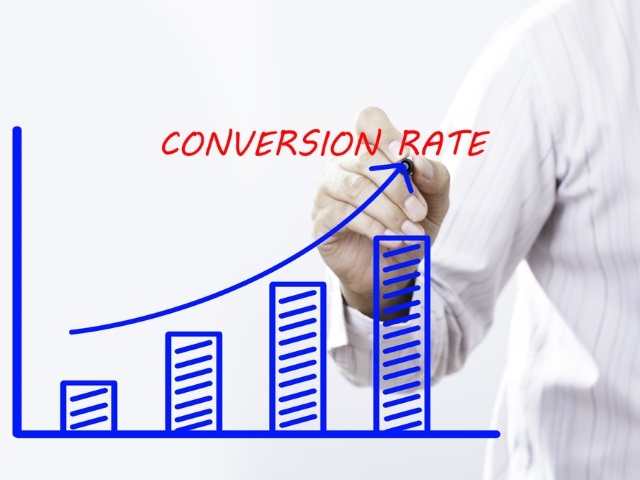 As indicated earlier in the Monetate study I referenced, the average email conversion rate is 3.19 percent–four times more than the average social media conversion rate, and more than the average conversion rate of social media and search combined. Sources agree that email is the best converting source of traffic. In fact, email is so powerful that it was responsible for a whopping 25.1 percent of all sales during Black Friday 2015 (the highest of all traffic source), compared with social media’s measly 1.6 percent. This makes something clear: While social media is a traffic superpower, email is a conversion superpower. A union of both will deliver maximum results. Your strategy should integrate your social media and email marketing efforts. Create a system aimed at getting traffic from social media to convert into email subscribers, thereby making it easy for you to follow up and boost conversions. If you don’t have an email list yet, start with this resource to compare email marketing services. Once you start to build your email list, it is important to realize that, just as with social media, relationship is important. So carefully cultivate your relationship with email subscribers. Incentivize: Give people coupons, discounts, products or some other incentive to get them to subscribe to your email list. Very few people will simply subscribe, especially considering how overwhelmed they are with emails. However, by offering an incentive, a significant number of social traffic will convert. Segment: Segmented email marketing can boost conversions by up to 208 percent compared with simply sending regular emails. Right from the beginning, segment your social traffic based on interests. Catering directly to people’s interests will make it easy for you to get the attention of social media users with increasingly declining attention spans. When using advertising on social media to promote your business, it is important to realize that just sending direct traffic to your pages can be the least efficient way to get good return on investment. Instead, familiarize yourself with the different targeting options offered by different social media sites.